I am part of an after school program called Project Success. I participate on Tuesday and Thursday each week at the school where I teach. One of the activities that I am introducing to the kids in the program is called Zentangle. I discovered Zentangle about a year ago, and have grown to love it. I guess you could call it a hobby, but it is more of an outlet. I am not into the whole "zen" thing, but I do find this art form to be very relaxing. One of the Project Success leaders has seen some of my Tangles, and decided to get some Zentangle supplies for the program. I was really pumped about the prospect, but sort of worried at the same time. Teens in after school programs aren't always the most calm and relaxing group to be around. And when you want to share something that, by nature, is calm and relaxing with a group of people that are the opposite of calm and relaxing, there is a certain level of anxiety that begins to arise. Well, two days ago I had my first Zentangle class. I can't emphasize enough how pleasantly surprised I was. I started out time by saying that Zentangle was something that I loved, and I was asking them to show some respect for that fact. Then, after briefly discussing the "zen" aspect of the art, I said, "You know. I like to joke around and be sarcastic as much as the next guy, but do you ever just get tired of it? It wears me out. Every comment has to be a comeback. Everything you hear, might have a different meaning. If you open up too much, somebody is going to give you a hard time, and try to make it OK by saying they were just joking. Well... sometimes I just want to have a normal conversation with somebody.... 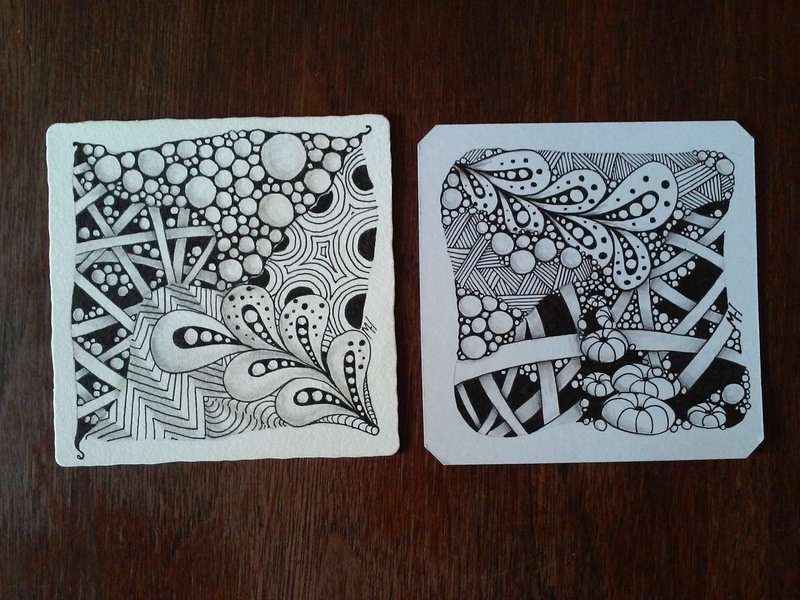 So, lets try this: When you come to my room for Zentangle, let's leave the sarcasm at the door." One of the kids immediately said, "Don't even bring it down the hall." I couldn't believe how well they all responded to this. The rest of the time we were in there, they were all positive and encouraging to each other. As I instructed them on some basic designs and on the process, there was a genuinely calm and peaceful feel to the room. Even the most sarcastic of the kids was polite and... well... real. It was great. I think that for the time we were in there, they felt safe. 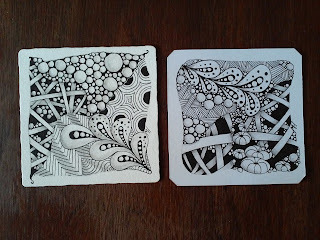 I am not a true Certified Zentangle Teacher (CZT), but I do enjoy the art. I know that those kids are looking forward to the next session. When I start getting some samples of their tangles, I will start posting them here. I don't think that I have ever done this before, but if you wanted to help support these kids, we need some artist tiles, some more Zentangle pens, and I would love to be able to get each one of them their own Zentangle Kit. There is a basic kit that would work great for these guys. It is the Sakura 50010 9-Piece Zentangle Clamshell Pencil Set . Here is a link to some for about Studio Series Artist's Tiles: White (75 pack) $5. If I have any rich friends out there... you could consider sponsoring me to become a Certified Zentangle Instructor... but that is crazy expensive!